We are all children of the mother earth. Keeping it green is everyone’s duty. Our mobile phones are already revolutionizing the way we complete regular tasks. 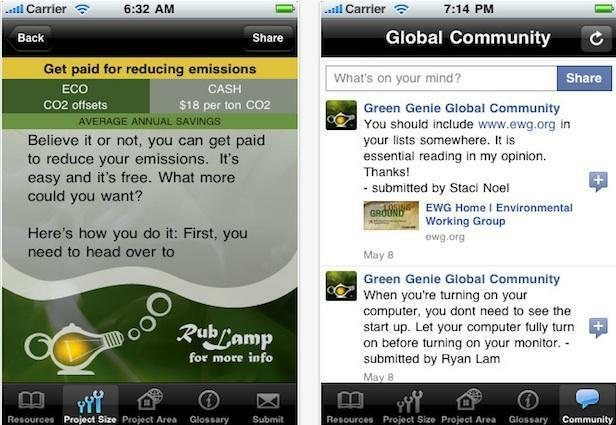 Whether you are an iPhone owner or an Android user, check out these environmental apps that could help you lead a green lifestyle without much hassle. Here are five great ones. iRecycle makes it convenient for users to get instant access to more than 1 million ways to recycle. It tracks places in accordance with the location and zip code that you enter in the menu, and then let you know where you could recycle products. It also provides the latest in green news and tips for improving your own lifestyle. 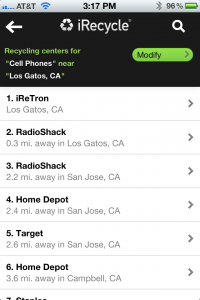 iReTron is also listed on iRecycle as a mail-in program for recycling your cell phones, tablets, calculators, mp3 players, laptops, cameras, game consoles and GPS systems. 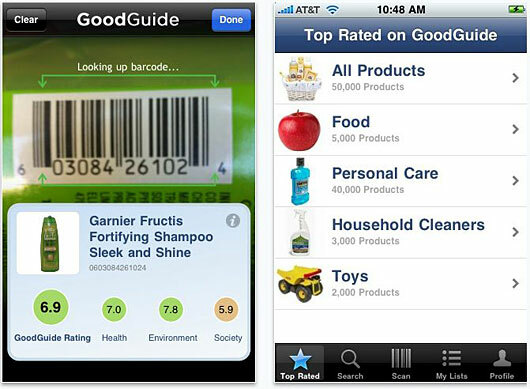 GoodGuide is one of the best environmental apps that makes it easy to find safe, healthy, green products ranging with barcode scanning. 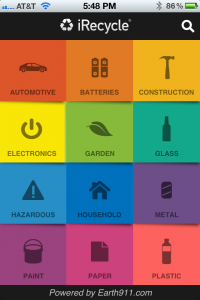 The app contains a database of over 120,000 products with reliable source of information. The app is capable of scanning barcodes, revealing the product’s health, social and environmental impact, as well as suggesting if a product is worth buying or not. Carticipage is a ride-sharing application to allow users to find carpooling opportunities in their area. It uses GPS to locate other users in the area. 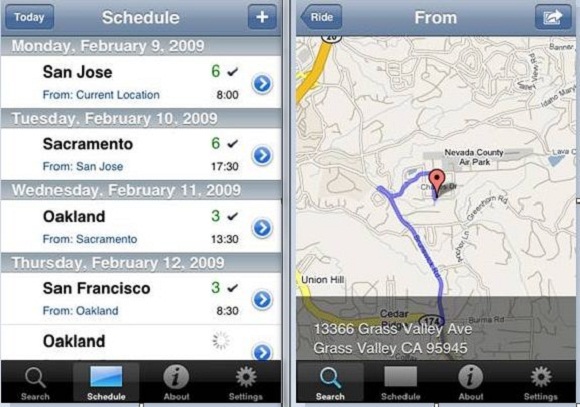 The app comes with a list of pre-loaded destinations, which you can edit, delete, or add your own routes. It’s a great way to figure out who wants to share a ride and who has a ride to offer. Anyone looking to share resources and lower their carbon footprint will enjoy this offer. 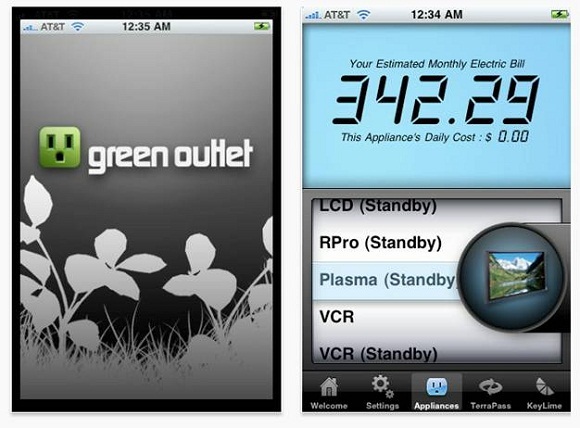 Green Outlet helps users predict their electric bill and carbon footprints based on their appliances. Green Outlet allows you to see how much money each appliance is costing you. It also adds up your household carbon footprint and alerts you if you have exceeded the recommended usage. If you are an advocate for conserving energy, then this is the perfect application for you. Green Genie is “your complete guide to sustainable lifestyle.” Developed by professionals, this app has a huge database of green tips, sustainable projects and valuable resources. This entry was posted in Environment, Review and tagged App, Green. Bookmark the permalink.